The Mayfield crew arrived at 75(NZ) Squadron RAF at Mepal on the 21st of July 1943. 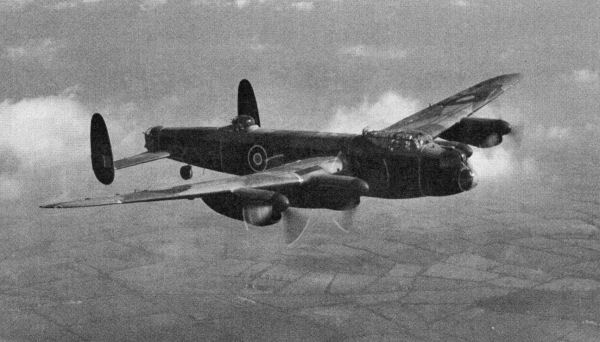 All the crew arrived form 1651 Conversion Unit, where they had trained as a crew on Stirling bombers, except Sgt. F.W. Weaver, a WOAG who arrived the previous day from no.1 Gunnery School, who would become the crew’s wireless operator. Sgt. Weaver’s arrival at Mepal a day before the rest of the boys is yet to be satisfactorily explained – as the WO in the crew, it would have been expected that he would have arrived from 1651 CU with the rest of the boys. A number of changes occurred to the crew through the first 5 operations. Sgt. Bullen and Sgt. Weaver both leave the crew relatively early – Sgt. Weaver apparently ‘cracked’ on the return from the crew’s third operation to the Gironde Estuary. The reason for Sgt. Bullens departure is less clear. The ORB notes his departure from the squadron to a ‘re-selection center’ on 18th of October. Reading around the subject, it would appear this suggests a performance or discipline issue regarding his suitability within the squadron. Sgt. Derbyshire’s arrival in the crew (as an eventual replacement to Sgt. Bullen) for the crews first op to Turin (12th August) is one op before William Lake arrives to become the wireless operator. I believe that both were in fact part of another ‘still born’ crew whose pilot, Sgt. Jack Thomson RNZAF NZ421145 was killed on his second ‘second dickie’ operation with the Bailie crew on the 3rd August to Hamburg. In sad truth, this in itself was not a rare occurrence, the remaining crew usually just being dispersed amongst the squadron or sometimes transferred to others. Typically, a first tour crew in 1943 would be expected to complete a total of 30 operations. The criteria for an ‘op’ was fairly rigid and it was not uncommon for an a/c to travel the full distance to target, fail to bomb and return and this not be counted. On the 19th November 1943, the Mayfield crew completed their 21st operational raid. The following morning they congregated in the ‘prayer room’ to see if ops had been posted for that night. After the raid briefing, they and another crew were held back and informed that orders had been received form 3 Group Headquarters that they were ‘screened’ – they were tour expired and they would fly no more. This of course was not the end of the story. Despite the appallingly high losses in Bomber Command at the time, the completion of a tour (by whatever means) simply offered a stay in training and leave, before the likelihood of being transferred back to a front line squadron for a second tour. Posted from No.1651 C.U. 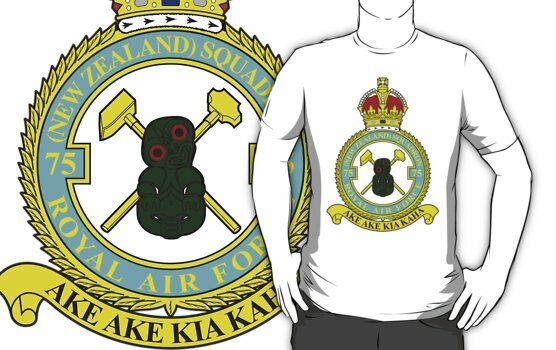 to 75(NZ) Squadron RAF w.e.f. 21 July 43. Authority P/N. 3G/855/43 dated 19/7/43 to 75(NZ) Squadron RAF. Born 4th of May 1920 in Christchurch, New Zealand. Based on the first point of training where the crew would have met, I assume that Allan arrived at No.11 O.T.U at Wescott on the 6th April 1943. July 24th War ops – Hamburg Second Dickie with Sedunary Crew. July 27th War Ops – Hamburg Second Dickie with Turner Crew. Completed 23 Operational missions with 75(NZ) Squadron RAF before being posted back to 1651 CU as an instructor. As was not uncommon for aircrew, the relatively mundane life within a training flight soon became frustrating. From discussions with Jack Jarmy, it is clear that Allan felt this acutely and at least on one occasion not long after leaving 75(NZ) suggested to Jack and Jock that they rejoin him for a second tour with Pathfinder Force (PFF) – Jack recalls an expletive filled answer to his request in the negative, I must assume Jock’s response was the same……. “Pilot Officer Mayfield, as Pilot, has completed numerous operations against the enemy, in the course of which he has invariably displayed the utmost fortitude, courage and devotion to duty”. Allan completed 20 ops in about 2 months. I still need to see if there is any information regarding where Allan came from. I assume he must have done some conversion training before going to Mosquitoes. It seems his Navigator was a Flight Sergeant Murphy, initials buried within the Appendices are D.R. Could see G & R T.I.s and bomb centre. Slight H/F 10/10ths 6000’. No T.I’s seen bombed on Gee after 20 mins over target. Opposition nil. 10/10ths 8/9000’. First T.I. Red seen 2345hrs which was bombed, followed two Green T.I.’s at 2345 and 2347hrs. Several cookie bursts seen round Red T.I. well concentrated. 8/10ths 8000’. Bombed on D.R. saw no T.I.’s White boozer over target. 10/10ths 15000’ Opposition slight H/F to Stbd. Bombed R/G concentration of 3 2057, 8/10ths 11,000’ patchy. Opposition slight. R.M’s O.K. Red on route out not seen. 2 groups T.I’s H-3-2-0. Bomb dropped on 2nd group which was a centre of other T.I’s. Bombs seemed quite concentrated on T.I’s slight flak over target. 10/10ths 10000ft. T.I. -3 -2-1. Quite well placed and bombed very low red T.I. Bombs seen quite close to T.I.Opp. Slight H/F. Cloud nil. T.I. 2105,2107,2018. Bombed centre of last two reds on ground. Much bombing cone. Opp. slight H/F Weather 10/10ths layers transparent. Explosion 2112. Identified TI Red (H-3) Bombing run on glow and bombed TI which was then visible through cloud (still cascading). Bombs seen around T.I. Opposition moderate H/F. Many fires seen burning at Heide. TI’s 00.42 onwards. Bombed Red TI on ground through breaks in cloud. 8/10ths at 7000’. Floaters seen but no Green Yellows. Opposition nil. Saw TI groups H-5-2. Third seen later 10 miles to NE. Bombed centre Yellow on ground No. 1 & 2, other bombing fairly good. Opposition nil, weather hazy. Saw built up area in flashes. Fires in area. Dummy Reds to north. Saw TI groups (2). Called down and well placed H-5-4. Bombed Red on ground aimed at overshoot as floater had gone out. Bombing was concentrated mostly to starboard and a little ahead of Reds on ground. Opposition slight flak. Hazy. Identified TI Red (four) -4-3-2 H+1) Bombed centre of Red TI on ground. River seen west TI’s. Bomb slight overshoot, other bombing concentrated mainly slight overshoot to East. Buildings seen in glow. Opposition nil. Weather clear. Saw TI Group (Called down) (-3 ½). Bombed this TI red on ground in built up area. Opposition nil. Weather clear. Dummy reds (West) ineffective. Saw 2 sets TI (called down) (-4) (-3 ½), close together. TI’s observed on aiming point. Bombed Red TI’s on ground. Bomb overshot and slight line error to Stbd. Other bombs good. Opposition moderate H/Flak and exploding tracer. Weather clear over target. Large drifting patches 10000’. 1st Green floater (-3½) 2nd Red minus Green(-2). One TI later. Bombed on Red on ground. Bomb caused explosion in buildings. (Yellowish flash). Another explosion after HO. Opposition nil. Weather clear. Munich transformer and switching station. H-3½, H.O. (called). Bombed Reds of 1st Set. Cookie to Stbd. Edge of TI which was thought to be just N of target. Weather clear but hazy. Recognised large landmarks. Opposition nil, dummy Red & Green S of target. Bombing very good. TI(H4) (No flares) Orbited with TI’s seen (H+3). Bombed Red TI on ground. Bomb fell slightly to right. Other bombing good. Explosion H+5 yellow flash. Opposition nil. Weather:5/10ths 6000’. 1. Intention – To move 128 Squadron from R.A.F. Wyton to R.A.F. Warboys on the 22nd June 1945. 17 aircrews are listed. Aircraft ‘G’ is to piloted by Allan, navigator for the flight F/O Dwerryhouse. 1939-45, 417084 Flt Lieut A J MAYFIELD, RNZAF, died 3 February 1988 aged 67 years. It is clear in discussions with Jack that He, Allan and Dad were good friends. They seem to have been the first 3 to form together at 11 OTU and despite the alternative living and eating situations for Jack as a commissioned officer and the others being NCO’s they clearly had a bond. I don’t know whether it was chance but both Bob and Jack left the squadron to go to No. 3 Lancaster Finishing School to instruct. Their contact with Allan persisted and included a trip over on bicycles to visit it him while he was at 1651 Conversion Unit, also as an instructor. Like Dad, Jack then undertook another tour, this time with 218 Squadron. hopefully more information to follow on Jack’s time with 218. See a detailed breakdown of Bob’s RAF career here. Recent information has come to light regarding this individual that is discussed within the blog section here. The nominal roll has Walter linked to the Mayfield crew and his arrival from 1651 Conversion Unit is the same as the Mayfield and Roberts crew. From this I must deduce that his arrival at 11 OTU also coincides as this would have been the point where the ‘base’ crew (minus a second gunner and flight engineer) would have formed. Details of the specific reason for Walters departure are not known and I am reluctant to speculate despite the recorded evidence of his very rapid drop in rank, his return to New Zealand and his eventual time with the New Zealand Army. Jack remembers his name and recalls he was older than the rest of the boys and a ‘big chap’ – he thought that Walter flew on an op or 2, but looking at Bob’s logbook, it could well be that he was part of some of the 3 training flights the crew performed before undertaking their first op to the Frisian Islands on a gardening mission on the 30th July. Evidence, based on Sgt. Weavers disappearance from the crew and no logged departure in the crew movements of the Squadron ORB’s suggest sadly that like Sgt. Weavers, Walter may well have been classed LMF, something that Jack is unable to categorically confirm, but feels was most likely the case. Sgt. Weavers arrival at the Squadron a day before the rest of the crew has provided a significant amount of frustration to me. Technically as a wireless operator he should have been with the crew since their initial formation at 11 OTU. A recent discovery regarding Walter Gee (see above) begins, I believe, to partially explain this discrepancy with the arrival date. I think that the sudden departure of Walter Gee (before an operational raid) allowed Sgt. Weaver into the crew to replace him. Unfortunately, Sgt. Weavers stay with the crew was short lived – on the third op to the Gironde Estuary on a Gardening raid, Sgt. Weaver apparently ‘cracked’. It is impossible to postulate why this happened – it might have been a slow build up or possibly related to the boy’s decision to attack a train on the return flight from the target. In discussion with Jack, he recalls the wireless operator losing the ability to speak – shaking at his station. The crew decided not to mention it on their return, deciding to see how Weavers was the following morning. It would appear that Weavers went to the Medical Officer and was deemed to be LMF (Lacking Moral Fibre) – such a diagnosis, as crudely simplistic as it was, meant only one thing, Sgt. Weavers was immediately removed from the base and was never seen or heard from again. Sgt. Bullen’s rapid departure from the crew is currently a mystery. Reading around the subject, it would appear that being sent to the combined re-selection board was not on paper a good thing at all and was usually a sign of an airman failing to perform or fit in within a crew or the squadron. Whilst only guessing, I think the nature of Bullen’s departure must be different to that of Walter Gee and Sgt. Weavers – Bullen’s departure is recorded, whereas the other 2 have no record of their leaving the squadron – one must assume because of the perceived ‘disgrace’ of their departure. William arrived to become the wireless operator with the crew on their second op to Turin on the 16th August . I believe that both William and Sgt. Derbyshire were in fact part of another ‘still born’ crew whose pilot, Sgt. Jack Thomson RNZAF NZ421145 was killed on his second ‘second dickie’ operation with the Bailie crew on the 3rd August to Hamburg. In sad truth, this in itself was not a rare occurrence, the remaining crew usually just being dispersed amongst the squadron or sometimes transferred to others. William completed all remaining ops with the crew. 26th March 1944. C. Megson crew – Attack against targets at Courtai. Wireless Operator. 18th April 1944. D. Warren crew – Mining in Kiel Bay. Wireless Operator. 22nd April 1944. T. Buckley crew – Attack against targets at Dusseldorf. Wireless Operator. 24th April 1944. T Buckley crew – Attack against targets at Karlsruhe. Wireless Operator. After the departure of the majority of the Mayfield crew, Tom continued to complete another 7* flights. 4th January 1944 Alan Spiers crew – Mining North of Biarritz. Rear Gunner. 19th January 1944 Geoffrey Rowberry crew – Air-to-Sea firing. 21st January 1944 Desmond Horgan crew – Special Target. – in the Squadron ORB the MUG is apparently incorrectly listed as F/Sgt. D Baverstock…. 27th January 1944. Cecil Armstrong crew – Mining in the Heligoland area. Rear Gunner. 28th January 1944. Cecil Armstrong crew – Mining in Kiel Bay. Rear Gunner. 28th January 1944. Cecil Armstrong crew – Mining in Kiel Bay. Rear Gunner. – in the squadron ORB this is listed as a second op of the same day to the same target – there is no record of it in Tom’s logbook. 30th January 1944. Cecil Armstrong crew – Bombing High Level. 28th January 1944. Harold Bruhns crew – Air Sea Rescue. 22.3.45 F/O Hamilton crew – Bocholt. 27.3.45 F/O Blackman crew – Allenbogge. 4.4.45 W/O Brown crew – Merseberge. 9.4.45 F/Lt Walker crew – Kiel. 24.4.45 F/O Blackman crew – Bad Oldsloe. 29.4.45 F/Lt Alt crew – Rotterdam. 1.5.45 F/O Scott crew – The Hague (Operation ‘Mana’). 3.5.45 F/O Blackman crew – The Hague (Operation ‘Mana’). 11.5.45 F/O Scott crew – Juvincourt (Operation ‘Exodus’). 12.5.45 F/O Scott crew – Juvincourt (Operation ‘Exodus’). 13.5.45 F/O Scott crew – Juvincourt (Operation ‘Exodus’). 23.7.45 F/Lt Davies crew – Formation Flight Jettison. 24.7.45 F/Lt Davies crew – Formation Flight Jettison. 26.7.45 F/Lt Davies crew – Formation Flight Jettison. 7.8.45 F/Lt Davies crew – Aerodrome Bari Italy (Operation Dodge). 10.8.45 F/Lt Davies crew – Aerodrome Bari Italy (Operation Dodge) – Glatton. 11.8.45 F/Lt Davies crew – Glatton – Base. John was born on the 8th Jun 1913 in Oxford, North Canterbury, New Zealand. He is listed on the passenger rosta of the ‘Bloemfontein’, which sailed from Wellington and arrived in San Francisco in March 1942, by way of travelling to his final destination in Canada for aircrew training. 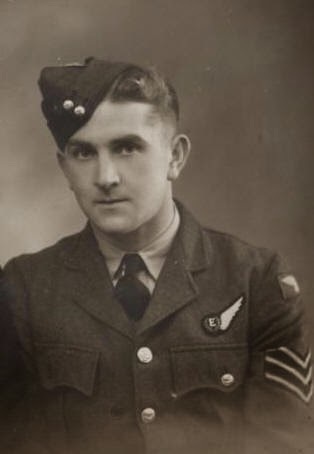 As with Allan, the earliest I can specify a training point is No.11 O.T.U at Wescott on the 6th April 1943 – this is based on the assumption that John was the single rear gunner that the initial OTU crew was based on (a second gunner would join at the Conversion Unit, simply because the Wellington bombers used at OTU only had a single gunnery position). Flew 2 ops with the Mayfield crew – August 10th , Nurenburg and August 12th to Turin, both as WOP.WOAG Arrived 75(NZ) Squadron 19th Jun 1943. Completed tour 29th Jan 1944. Crewed with George Morrison Duncan as W/Op. Do any records exist for Jack Truman, Mid Upper Gunner in crew Ack Ack U or Ack Ack Love ?